Wars, conflict, persecution, and climate change are causing more people to flee their homes now than at any other time since records began. The UN’s refugee agency (UNHCR) estimates there are more than 65.6 million forcibly displaced people, 22.5 million refugees and 10 million stateless people worldwide, many of whom are living with limited access to basic rights such as health care and education. Over half of the world’s refugees are children.1)UNHCR, 2016, Global Trends Retrieved from https://www.unhcr.or.th/en/news/general/50633 (accessed 14.04.2018) www.unhcr.org/globaltrends2016/, (accessed 10.03.18). Many displaced children end up living in refugee camps or temporary settlements for months or even years, making up a substantial part of their childhood. For some, life on the move is all that they know and will make up their earliest memories. The hardships children face do not always end once they have arrived in their host country. Beginning a new life in a new community presents serious challenges. How children are supported to overcome trauma and deal with these new challenges will influence their ability to reach their potential in becoming full, active participants in society. With the right support and opportunities most refugee children will thrive but those with deep scars who are left behind may find themselves marginalized on the edge of society, stuck in a perpetual state of being neither here nor there. 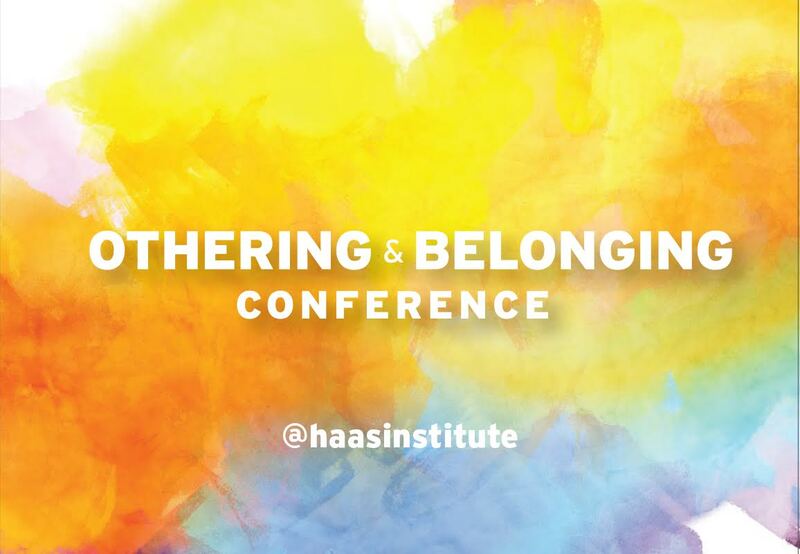 What are the mechanisms at play in creating barriers to belonging for refugee children and how do we prevent the narrative of othering becoming manifest? How do we support refugee children in becoming fully connected, active members of society and give them an equal chance at leading rich, happy, and fulfilling lives? 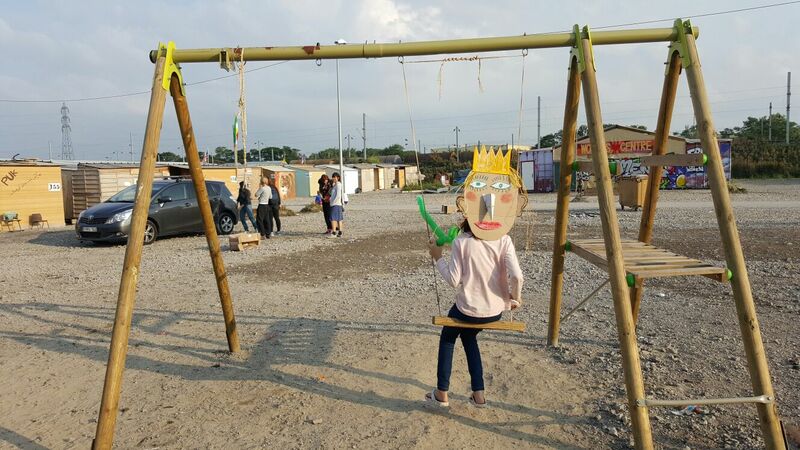 In this article I will highlight the impact of life in a refugee camp on the well-being and development of refugee children, and consider how play can remove barriers to belonging and build bridges between individuals and communities. These issues will be discussed in the context of my personal experience of setting up a play center in a refugee camp and founding a charity to promote the development of refugee children through play-based intervention. I’d just started teaching around the time of the Arab Spring—protests and uprisings in the Middle East were met with violent government responses in many countries, prompting regime change in some. Over the following years the things I saw and read affected me deeply. It felt as though calls for help from the international community were falling on deaf ears; the world watched helplessly as men, women, and children suffered. The conflict in the Middle East contributed to a staggering rise in the number of refugees seeking the protection of Europe. In 2015 alone almost a million people risked their lives crossing the Mediterranean, and thousands died trying. The news was dominated by harrowing scenes of desperate journeys and the rejection with which many people were met as they attempted to cross borders. The look of absolute fear on the faces of women and children as they were scattered by armed border guards and security personnel, and images of a journalist kicking a Syrian refugee to the ground as he held his son in his arms were excruciating to witness; they’d survived war and reached the “safety” of Europe only to be greeted like this. Instead of being welcomed they were vilified. Instead of being met with outstretched arms they were rejected. Instead of being supported they were abandoned. Transit and destination countries were overwhelmed by the flow of refugees and struggled to manage the new arrivals. Independent volunteers from all over the world started filling the gaps and grassroots organizations sprouted up across Europe. In Germany people cheered the arrival of weary travelers, greeting them with bottles of water, food, toys, and sweets. At the same time inflammatory rhetoric in the media, such as that which warned of a “swarm of people coming across the Mediterranean, seeking a better life,” helped ignite a culture of fear and loathing. “Get the water cannons out, Miss White!” exclaimed a twelve-year-old boy in my Current Affairs class, after watching a report of a boat full of people capsizing. For a moment I was speechless. I thought of the videos I’d seen of mothers and fathers running from the ruins of collapsed buildings with the broken bodies of blood-stained children lying limp in their arms; guttural screams expressing an agony no parent should endure. People had fled atrocities and lost entire families, escaping with nothing but their shattered lives, yet somehow the terms “refugee,” “migrant,” and “asylum seeker” had become dirty words, words that degraded and dehumanized. I felt impelled to do something. For years I had felt helpless, an idle observer of the millions of lives being destroyed. I wanted to add to the voices saying, “You’re welcome. You’re safe.” Now I felt I had an opportunity to do something. I wanted to use my skills to support them in some small way, and, with a background in teaching, I began looking for opportunities to help. After a little research I found a group of volunteers who’d set up and run a kids’ tent in an informal refugee settlement in Dunkirk who were looking for someone to take over after the residents were transferred to a new camp. 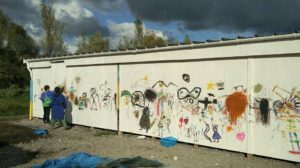 Within a few weeks, I set off to France with a friend to help create a safe space for children living in the camp. “Prepare for hell on earth,” was the advice given to me before I set off for the refugee camp on the northern coast of France. With the arrival of migrants and refugees into Europe in 2015, the population of the informal settlement on the edge of a small town boomed within the space of a few months. By autumn several thousand people were living in a dense mass of tents and tarpaulins cramped between trees, surrounded by a sea of thick mud and debris. The conditions were unimaginably horrendous. Without proper waste disposal or sanitation a hazardous layer of litter and waste had built up, making it feel more like a landfill site than a refugee camp. The majority of the residents were from the autonomous Kurdish region of northern Iraq. Here were men, women, and children escaping the horrors of conflict and desperately seeking a better life. Most were using it as a stepping stone to reach the UK, by any means possible, anxious to be reunited with family and loved ones who had been granted asylum during the Iraqi-Kurdish Civil War in the mid-1990s and the Iraq war in the mid-2000s. “I lived in Bradford for 15 years,” explained Hammad. He had gone back to Iraq to rebuild his life after the last war ended, met his wife, and started a family. But the peace was short-lived and they were forced to flee again in 2015 when ISIS invaded a town just kilometers from where they lived. He had a British passport but his wife and children did not. “I’ve spent almost half of my life in England. In England I can get work at my uncle’s taxi company. I can earn good money and look after my family. In France I can do nothing because I don’t speak French.” It was a common story. I met teachers, builders, engineers, and artists who wanted nothing more than to rebuild their shattered lives. Men with tired eyes spoke of the social isolation they believed their wives would face should they have to stay in a country where they knew no one and were unable to communicate. They wanted to be able to provide for their families but most of all they wanted them to be happy. 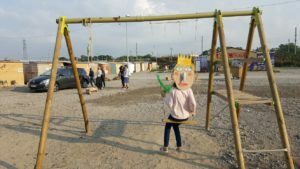 In March 2016 the residents were moved from the squalid conditions of the informal settlement to a new purpose-built camp a few miles away. Established by Médecins Sans Frontières (MSF) and the local authorities, it was the first internationally recognized refugee camp in France. The physical conditions were greatly improved. Rows of little wooden huts and shower blocks lined a rocky path running the length of the camp. A little later, a tea tent and community kitchens were added. There was no mud and the huts provided some respite from the cold and the rain but it didn’t take long to realize that these improvements in physical comforts played only a small part in alleviating the suffering of the inhabitants. Wherever you looked, the psychological impacts of conflict, migration, and life in a refugee camp were clear to see, and it was bitterly cold. I remember one evening feeling a momentary buzz of excitement at the prospect of going home to my cozy, warm bed but then immediately afterwards a feeling of gut-wrenching guilt at the thought of everyone we were leaving behind. As I walked out of the gate I saw a man with his head in his hands, crying. Those fleeing war-torn areas will often have undertaken long journeys with insufficient access to food and health care. Children may arrive at refugee settlements malnourished and in poor health, sometimes having gone days without food. With no running water in tents and shelters it is difficult to keep clean, especially when living in damp and overcrowded accommodations, and dental health among children is often poor. The cramped living conditions, along with poor sanitation and limited access to medical care, make perfect breeding grounds for illness and diseases such as diarrhea, vomiting, respiratory disease, scabies, and measles.2)C. Louis. Medicins Sans Frontieres and the refugee crisis in Greece: an interview with Dr Apostolos Veizis. Pathog Global Health. 2016 Sep; 110(6): 219-222. Doi: 10.1080/20477724.2016. 1197441 Retrieved from www.ncbi.nlm.nih.gov/pmc/articles/PMC5070638/. The shelters, undoubtedly an improvement on previous conditions, were the size of a small garden shed. Yara, a mother of four, showed us inside. A bed shared with her husband, their two teenage sons, and seven-year-old daughter, who had cerebral palsy, took up most of the floor space. Tidy piles of clothes and a few belongings lay along either side of the bed, and some food and cooking equipment was kept on a shelf in the freshly swept porch. There was no room for baby Rawan so he slept over everyone’s legs at the end of the bed. If you stood in the middle of the shelter with your arms outstretched you could almost touch both sides. I thought of my nieces bouncing off the walls after one day of being kept cooped up inside. 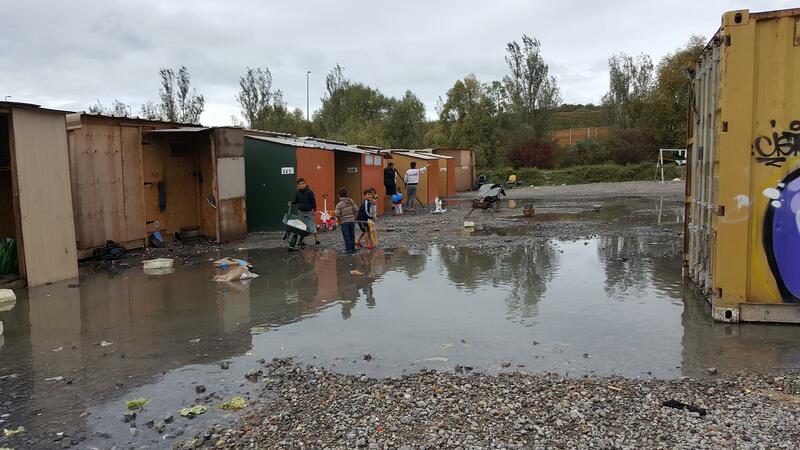 The ground outside was covered in a layer of rubble to prevent it from becoming waterlogged and, initially, there was no designated area for children to play and limited access to safe space where they could burn off their energy. Sharp rocks and children don’t mix well. They couldn’t run, skip, or jump without falling and cutting their knees, and, as we soon found out, the rocks made perfect ammunition to hurl in a fight. As I arrived in the camp one morning I came upon a commotion outside the shelter of a family. Sara had taken some books and pens from the school tent to take to her shelter. Enterprising, enthusiastic, eager to learn, but still a thief in the eyes of her peers. “Ali Baba!”3)Ali Baba is a character from the folk tale, Ali Baba and the Forty Thieves, featured in the “Ariabian Nights”tales, One Thousand and One Nights. In the story, Ali Baba discovers a cave full of stolen treasure. The children in the camp used the term ‘Ali Baba’ to describe someone who had stolen something. The children cried, “She Ali Baba!” The regular attendees of the camp’s tented school were outraged at the iniquity. Sara was pelted by rocks, more rocks were thrown back, and one hit Akham with a crack. His little head was soaked with blood. Rock fights like this were an almost daily occurrence. The cramped living conditions, rocky ground, and lack of communal space also meant there were limited opportunities for learning to crawl and walk; babies and toddlers were confined to their tiny shelters or pushed around in prams. It was not uncommon to see children with delayed crawling and walking. Delays in developing core muscle strength can have cumulative effects on gross and fine motor skills later down the line­—children who haven’t developed strong core muscles may find sitting at a desk and using a pencil difficult. I was struck by how many young children there were in the camp and by how long some of them had been living there. From watching the news at the time you’d be forgiven for thinking the camps in northern France were almost entirely devoid of women and children. The media frequently portrayed the residents as mobs of angry young men and criminal traffickers. Individuals’ complex and often harrowing stories were lost. Instead, husbands, fathers, and sons were conveniently reduced to pantomime villains to make a more palatable “truth” for those seeking to confirm their bias rather than arouse deeper thought that might challenge their preconceptions. I quickly came to know three-year-old Saya who would run to greet me in the mornings. Taking my hand she’d walk along the track with me singing the songs she had learned with previous volunteers. She knew all the words to “The wheels on the bus,” “If you’re happy and you know it,” and “Twinkle, twinkle little star,” to name a few. She had been in the camp for so long and from such a young age, I thought, she probably wouldn’t have any memories of her life before her “home” in the camp. And then there was Mateen. He’d been born, and spent the first year of his life, in a refugee camp in Turkey. Escalating tension between Turkey and the Kurds prompted his parents to risk the journey to Europe, where Mateen spent the second year of his life. His entire time on this planet had been spent living in refugee camps. The early years of a child’s life are crucial for their physical, cognitive, and social and emotional development. Early experiences interact with genes to determine the development of the brain and body, setting life-long patterns for behavior, character, health, and the ability to learn, and forming the foundations for future well-being and life-course.4)Center on the Developing Child (2007). The Science of Early Childhood Development (InBrief). Retrieved from www.developingchild.harvard.edu, (10.03.18). However, refugee children are exposed to a myriad of stresses on a daily basis and in many camps there is little in the way of stimulation for young children. Before arriving in Dunkirk I thought I knew about the challenges of living in a refugee camp but I had drastically underestimated the impact of the seemingly lower level, everyday stresses: the friends you make one day being gone the next, being hungry because yesterday’s dinner was early and today’s breakfast was late, volunteers coming and going, being kept awake all night listening to rival criminal gangs fighting outside your shelter, the ever-changing social structure and group dynamics, the constant worry of having your home raided by terrifying men dressed in riot gear with batons and snarling dogs, not knowing from one day to the next whether your asylum application will be processed or if you’ll be deported back to where you came from. It was a waiting game. Children in refugee camps are existing in a no-man’s-land; their rights curtailed, their lives on hold, their futures uncertain. The multiple stresses and anxieties associated with living in a refugee camp can manifest as depression, withdrawal, or aggression, and angry outbursts in response to threats or perceived threats were common. Children were living in survival mode. Disputes escalated swiftly and incidents of unprovoked violence were common. The fighting was deeply upsetting. There were times I felt I’d witnessed the very moment innocence was lost. One of the first fights I saw took me by surprise: seven-year-old Aria was playing quietly with his sister one minute, the next he was being violently kicked and punched to the ground by a gang of slightly larger boys. The look of absolute shock and fear on his face was heartbreaking. It was like watching the carpet being pulled from under his feet, the moment of realization that he was not safe, not even here. There were many more moments like that to come. I saw children punched, slapped, kicked in the face, throttled, stamped on. The fighting created a cycle—the bullied often became the bullies—playing out in front of my eyes. Each little face was etched in my mind forever. Research shows that prolonged and excessive exposure to stress in early childhood can be toxic to the developing brain.5)National Scientific Council on the Developing Child (2005/2014). Excessive Stress Disrupts the Architecture of the Developing Brain: Working Paper No. 3. Updated Edition. Retrieved from www.developingchild.harvard.edu. (10.03.18). Developing skills for coping with adversity is a key part of healthy childhood development but prolonged or excessive activation of the brain and body’s stress response systems has a profoundly detrimental effect on development.6)Ibid. In the absence of sufficient intervention from a nurturing caregiver, this toxic stress response impedes the developing brain’s architecture and disrupts the healthy functioning of other organs, causing damaging effects on behavior, health, and learning.7)Excessive Stress Disrupts the Architecture of the Developing Brain. There is an increasingly large body of evidence that shows adverse experiences during childhood, such as those that cause acute trauma or toxic stress, are strongly associated with negative physical and mental health outcomes in later life.8)Center on the Developing Child (2007). The Impact of Early Adversity on Child Development (InBrief). Retrieved from www.developingchild.harvard.edu, (10.03.18). Exposure to Adverse Childhood Experiences (ACEs) such as prolonged fear or neglect, family hardship, exposure to violence, severe maternal depression, emotional or physical abuse, famine, and general insecurity can affect neurological, immunological, and hormonal system development, which may result in problems with attachment, emotional regulation, cognitive response, memory, and learning throughout life.9)Petchel P and Pizzagalli DA (2011). Effects of early life stress on cognitive and affective function: an integrated review of human literature. Psychopharmacology 214:55-70. 10)National Scientific Council on the Developing Child (2010). Persistent Fear and Anxiety Can Affect Young Children’s Learning and Development: Working Paper No. 9. Retrieved from www.developingchild.harvard.edu. These impacts on physical and mental development are likely to have a profound effect on an individual’s life. Studies have shown adults who were exposed to ACEs are more likely to engage in unhealthy behaviors such as smoking, high-calorie diets, alcohol and drug abuse, and are at greater risk of violence or re-victimization and chronic health conditions.11)Centers for Disease Control and Prevention, Violence Prevention, Adverse Childhood Experiences Journal Articles. Retrieved from https://www.cdc.gov/violenceprevention/acestudy/journal.html (10.03.18). Furthermore, they may be more likely to have difficulties building relationships, struggle with social situations, and become detached from society, in part due to poor mental well-being, low life satisfaction and life worth, and an inability to trust others.12)Bellis MA, Hughes K, Jones A et al. 2013. Childhood happiness and violence: a retrospective study of their impacts on adult well-being. BMJ Open 3(9):e003427. Studies into ACEs by the Centers for Disease Control and Prevention have found a strong dose-response relation between the number of ACEs a child is exposed to and negative outcomes. The more ACEs a child is exposed to, the higher the risk of suffering from depression, mental distress, suicide attempts, severe obesity, heart disease, stroke, diabetes, cancer, lowered educational attainment, poor work performance, and unemployment.13)Centers for Disease Control and Prevention, Violence Prevention, Adverse Childhood Experiences Journal Articles. But the impact of trauma doesn’t stop there. The symptoms and associated behaviors of trauma can be passed down from one generation to the next via a complex post-traumatic stress disorder mechanism.14)Delan Devakumar, Marion Birch, David Osrin, Egbert Sondorp and Jonathan CK Wells (2014). The intergenerational effects of war on the health of children, BMC Medicine, 12:57. This transgenerational trauma can be transmitted via child-parent relations and possibly even through heritable changes in gene function.15)Rachel Yehuda, Nikolaos P. Daskalakis, Linda M. Bierer, Heather N. Bader, Torsten Klengel, Florian Holsboer, Elisabeth B. Binder, Holocaust Exposure Induced Intergenerational Effects on FKBP5 Methylation, Biological Psychiatry, September 1, 2016 Volume 80, Issue 5, Pages 372–380. 16)Rodriguez, Tori (March 1, 2015). “Descendants of Holocaust Survivors Have Altered Stress Hormones”. Scientific American. Retrieved January 30, 2018. 17)Roth, T. L. (2013). Epigenetic mechanisms in the development of behavior: advances, challenges, and future promises of a new field. Development and Psychopathology, 25(4 0 2), 1279–1291. http://doi.org/10.1017/S0954579413000618. Adversity in childhood creates developmental and psychological barriers to belonging not only to the original sufferers but potentially also to subsequent generations, perpetuating a cycle of ill health and social disadvantage that feeds into the narrative of othering. The relationship between children and their parents or caregivers is a key factor influencing children’s development. Responsive relationships promote healthy brain development, buffer against toxic stress, and help build and strengthen resilience to adversity.18)Center on the Developing Child at Harvard University (2017). Three Principles to Improve Outcomes for Children and Families. http://www.developingchild.harvard.edu. However, in disaster-affected communities children may become separated from families and caregivers, some are orphaned or become separated during dangerous journeys, others are sent alone with smugglers or traffickers by parents desperate to get them to safety. A report by UNICEF revealed the number of refugee and migrant children traveling alone has increased nearly five-fold globally since 2010. Over 300,000 children were recorded in 2015–2016 but the real number is probably much higher as many countries don’t record lone children. From 2015–2016, 100,000 unaccompanied children were apprehended at the US-Mexico border and 170,000 unaccompanied children applied for asylum in Europe.19)Unicef, 17.05.2107, A Child is a Child www.unicef.org.uk/press-releases/five-fold-increase-number-refugee-migrant-children-traveling-alone-since-2010-unicef/ (accessed 14.04.2018). Furthermore, caregivers who are suffering from the effects of war, conflict, or trauma themselves are not always able to provide the support that’s needed. I remember on one occasion hearing a baby crying near the center. When the crying didn’t stop after a few minutes, we went to see what was happening. A toddler had fallen and was lying face down on the sharp rocks. His mother sat motionless a few steps away. Separation from families, break down in community structures, lack of resources, and reduced access to essential services in the aftermath of emergencies greatly affect both the physical and psychological welfare of refugee and displaced children of all ages; they are at an increased risk of abuse, neglect, violence, and exploitation. Unaccompanied children in particular are vulnerable to physical abuse, sexual violence, and trafficking, and are often forced into prostitution to pay off debts to smugglers.20)Ibid. Many women and girls in refugee camps live in constant fear of being attacked, frequently reporting that they are too frightened to go to the toilet at night. The responsibility I felt was enormous. What would happen to these children who have been born into this life, who have survived war, traveled across borders, seen friends beaten at the hand of those who were supposed to protect them, witnessed family members drown as they made perilous journeys across oceans, and have been exposed to violence and left to fend for themselves in refugee camps across the world? Would they grow into happy, healthy adults, scientists, hair dressers, teachers, carpenters…? I hoped so. What’s certain is that what we do or don’t do for these children today not only affects their present well-being but will have implications lasting a lifetime. By the end of our first week in the camp my friend and I had been given a tent and some toys. Although the local authorities had contracted an organization to manage the camp, the operation of most of the services still relied entirely on a workforce of unpaid volunteers, many of whom had arrived independently over the previous months. There was no budget for the running of the children’s center. The tents and buildings we used had been donated by a charity, and all of the resources had been donated or funded by donations from individuals and organizations. We established a safe space to play and soon the first little faces began peeping through the canvas doors. Before long the tent was full of small people, busy with Lego bricks, painting, playdough, coloring, and singing; their smiles and laughter belying the reality of their situation. Within six weeks we had upgraded to a wooden building. We bought strips of artificial lawn, sand trays, potted plants, and garden furniture. Our little corner of the camp was a tiny oasis of color and fun, a stark contrast to the rest of the grey and barren environment. It both amused and saddened me to see the children flocking to the center. After months or even years on the move, most children had little or nothing to call their own and the colorful, busy building was so necessary an escape from reality that we often found it extremely difficult, and sometimes distressing, to persuade them to leave at the end of the day. But the center evoked happy memories too—of camping holidays as a child, the number one priority on arrival being to check out the playground—and reminded me just how important it was for children to have a place of their own, a place where they belonged, a place where they could be a child again in a very adult world. We created an environment that was welcoming, nurturing, and stimulating, with a balanced routine of free play and structured activities, focusing on art, music, sports, and games, non-formal education and language acquisition. Particular highlights of the week were snack and story time (who isn’t happy with a chocolate biscuit and a good book? ), and Wednesday afternoons—chocolate spread sandwich-making and cinema. After months of living in chaotic and unsettled environments, many children found adapting their behavior to a classroom context difficult. One group of eight- to eleven-year-old boys were proving particularly hard to reach, preferring to spend their days climbing on top of moving cars, riding on the backs of delivery trucks or surfing down mud banks on scraps of wood—all a great deal more thrilling than going to school! They visited the center infrequently; when they did, they were hypervigilant, fractious and at times aggressive. Sharing and taking turns were challenging and it was usually only a matter of time before a fight broke out. Most of the children had been out of the education system for months or even years, and some had never had the chance to attend school or children’s provision of any kind. One young girl proudly told us she could speak in seven languages: Sorani, Farsi, Turkish, Greek, German, French, and English. But she could read or write in none. Education is one of the strongest predictors to life outcomes.21)Economic and Social Research Council, 2014, The wellbeing effect of education. https://esrc.ukri.org/files/news-events-and-publications/evidence-briefings/the-wellbeing-effect-of-education/. (accessed 14.04.2018) Providing schooling during war and displacement supports mental resilience and helps children avoid child labor, early marriage, and recruitment by armed groups.22)Save the children, 2015, THE COST OF war Calculating the impact of the collapse of Syria’s education system on the country’s future http://static.guim.co.uk/ni/1427711553264/Save-the-Children-Cost-of-W.pdf. Yet only 50 percent of primary age refugee children have access to education and only 22 percent attend secondary school.23)UNHCR, 2016, Missing Out: Refugee Education in Crisis. http:/www.unhcr.org/57d9d01d0 (accessed 14.04.2018). Many children are unable to attend school due to physical barriers, bureaucratic issues or family hardship, but what happens when children are physically but not mentally able to access education? Minds that are full of worry and fear are incapable of performing the skills necessary for everyday functioning and learning.24)National Scientific Council on the Developing Child (2010). Persistent Fear and Anxiety Can Affect Young Children’s Learning and Development: Working Paper No. 9. 25)Center on the Developing Child, 2012, Executive Function (InBrief). Retrieved from http:/www.developingchild.harvard.edu. Only when a child feels safe, and their basic needs have been met, both physically and emotionally, are they able to perform high order skills such as creative thinking, executive functioning, and self-regulation. Executive functioning and self-regulation are the mental processes needed for focusing attention, planning, remembering instructions, and controlling impulses. They rely on the functioning of our working memory, mental flexibility, and inhibitory-control, and are key to how we retain and manage information, avoid distractions, work effectively with others, and adapt to changing situations. We are not born with these skills but develop them throughout childhood. The more children practice the skills, the stronger their capacity for using them.26)Center on the Developing Child, Key Concepts: Executive Functioning, https://developingchild.harvard.edu/science/key-concepts/executive-function/. Conversely, children overloaded with stress or lacking opportunity for practice will struggle, and their skills development may be seriously delayed or impaired. Sharing a toy, taking turns, following rules, or controlling impulses may be almost impossible. Without healthy functioning of core capabilities, children will, in later life, be ill-equipped to make positive choices, get along with others, hold down a job, or function in society.27)Ibid. Reducing stress, establishing routines, modeling appropriate social behavior, and creating and maintaining supportive, reliable relationships are central to facilitating the development of a child’s core capabilities. It’s also important that children have the opportunity to exercise their developing skills through creative play and social connection.28)Center on the Developing Child, Key Concepts: Executive Functioning. “Providing the support that children need to build these skills at home, in early care and education programs, and in other settings they experience regularly is one of society’s most important responsibilities.” (Center on the Developing Child, Harvard University).29)Ibid. As the weeks went by, I gained a deeper appreciation of the true value and potential of our little play center. A structured routine within a safe, nurturing, and reliable environment restores a sense of normality and continuity to disaster-affected communities and helps mitigate against the chaos and trauma of displacement. Play is an essential part of childhood. It enables the development of vital physiological, cognitive, social, and emotional skills, and allows children to build self-confidence and develop secure and trusting relationships with others. Play is a means of freedom of self-expression, healing, and happiness. To feel a true sense of belonging children need the physical and mental space in which they can fully express themselves, free from fear or prejudice, a place where they can just be. Children of all ages learn through play—it is their natural way of understanding the world around them. Through team games, construction, and imaginary play, children develop skills in creativity, problem solving, critical thinking, and collaboration. Play inspires curiosity, a sense of wonder and challenge; a desire to explore and discover is the foundation for the desire to learn. For the children who are not yet ready to access education, play helps remove the barriers to learning and bridges the gap between life on a refugee camp and the classroom. As well as bringing an immediate sense of joy and happiness, play has therapeutic qualities that reduce stress and anxiety and promote a sense of well-being. Young children lack the language and understanding to process complex emotions such as grief and loss, and consequently, negative feelings often manifest as frustration, irritability, anger, or withdrawal. Arts, sensory activities, and creative play in particular are calming and soothing, and provide an invaluable tool for enabling children to express their feelings, regulate their emotions, and build and strengthen their resilience to adversity. Through role-play, children can re-enact difficult experiences in a safe environment, helping them make sense of the world around them. They are free to manipulate scenarios by changing the outcome or changing their role within it. On one occasion we helped a group of boys build a den with blankets and chairs. Once it was ready, they immediately began ripping it down and dragging each other out, shouting, “Police! Police! Get out!” Being afraid of a monster under your bed is terrifying enough, it’s difficult to imagine living in constant fear of the people who are supposed to be there to protect you. Physical play is essential for supporting development and promoting both physical and mental health yet many camps have little or no provision for keeping active. Sports and games help to reduce stress by giving children a positive outlet for releasing nervous energy which improves mood and helps reduce aggressive behavior. When a local sports coach came to the center, the children played for hours at a time. The discipline, teamwork, and perseverance required began to improve their ability to focus and helped to build their self-esteem and confidence. This was particularly beneficial to the group of hard to reach boys who required a more physical, practical approach. An uneven surface doesn’t deter these tennis enthusiasts from having fun. 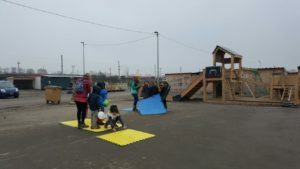 In autumn an outdoor playground was built in the camp, with a climbing frame, slide, swings, and level area for games—the tarmac had not even set before children came running with bikes, scooters, footballs, and prams, and within minutes beautiful chalk drawings covered the ground like a field of wildflowers reclaiming a wasteland. It is no coincidence that at around that time the behavior of the children dramatically improved. The children’s center was no longer broken into on an almost weekly basis—in fact, not at all for almost five months—the fights became less frequent and the children stopped smashing at the windows with rocks every time we had to close the building. It seems absurd to have to justify and provide evidence for the benefits of the most natural, instinctive behavior of children but in our modern, competitive society, play often takes a back burner, and is seen as an addition or “extra-curricular activity” rather than a fundamental need in itself. 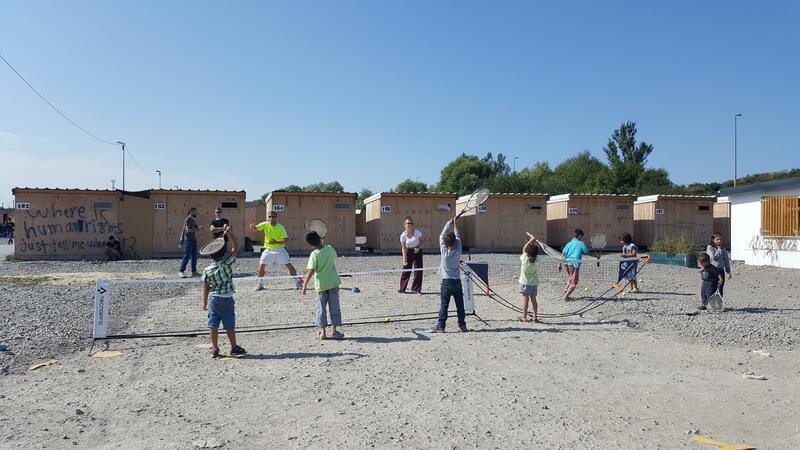 The benefits of play are indisputable yet there are refugee camps in Europe where children have been living for over a year with no access to a safe space to play and no provision at all for children under seven. A recent report published by children’s charity, Theirworld, found that only 1 percent of all international ECD aid is spent on pre-primary education.30)Theirworld, 2018, Donor Scorecard – Just Beginning: Addressing inequality in donor funding for Early Childhood Development https://reliefweb.int/sites/reliefweb.int/files/resources/Donor%20Scorecard.pdf. Where children do have access to play, the quantity or quality is often woefully inadequate. In one place I visited a large international NGO was running a successful Child Friendly Space but it was only catering for 60 of the 700+ resident children per day. The “Right To Play” is a universal right recognized by the United Nations in Article 31 of the United Nations Convention on the Rights of the Child, “Every child has the right to rest and leisure, to engage in play and recreational activities appropriate to the age of the child and to participate freely in cultural life and the arts.”31)UN Convention on the Rights of the Child, Article 31 https://www.unicef.org/crc/files/Rights_overview.pdfhttps://www.unicef.org/crc/files/Rights_overview.pdf. Providing access to play in a safe, stimulating, nurturing, and reliable environment helps shield against the adverse experiences of displaced children’s unsettled lives, gives them a chance to reclaim their childhood and develop the skills needed to access education, integrate into new schools and communities and, ultimately, to function in society. For refugee children re-entering the education system, many of the barriers to learning and belonging remain and the transition can be problematic. In Dunkirk, children were offered the opportunity to attend local schools and, in most cases, were immediately mixed into classes with local children. There was an initial rush of interest and the children queued up for the bus each afternoon eager to get to school. One headteacher even came to the camp each week to build relationships with the children and parents. However, despite the positive start and initial excitement, many quickly lost interest and began refusing to go. In transient refugee camps—those where residents are passing through en route to other destinations or are awaiting family reunification—there is often a lack of motivation, and in some cases a lack of parental engagement too: they do not see the point of learning a new, seemingly unnecessary, language when they hope to be elsewhere the following day or month. Other issues include being unable to access the classwork due to the language barrier, gaps in knowledge and basic skills, and finding it difficult to concentrate due to the impacts of trauma, stress, and sleep deprivation. Feelings of frustration and boredom can contribute to disruptive behavior and staff are not always equipped to deal with the complex needs of refugee children. Traditional discipline methods or use of corporal punishment can retraumatize children and create a negative feedback cycle, increasing anxiety, and exacerbating behavioral problems.32)UNHCR, 2013, The Future of Syria, Refugee Children in Crisis: The Challenge of Education http://unhcr.org/FutureOfSyria/the-challenge-of-education.html (accessed 14.04.2018). 33)Human Rights Watch, 2016, “We’re Afraid for Their Future” Barriers to Education for Syrian Refugee Children in Jordan https://www.hrw.org/report/2016/08/16/were-afraid-their-future/barriers-education-syrian-refugee-children-jordan (accessed 14/.04.2018). Countries hosting large numbers of refugees often operate a two-shift system, where refugee children attend school after local children have finished. However, this means there is no opportunity for the refugee children to integrate and make friends with local children, which will impact their ability to develop language skills, and, more importantly, their enjoyment of school and sense of belonging. There is often resistance from local communities, with parents raising concerns over the impact on their own children’s education, and refugee children often face bullying and discrimination.34)UNHCR, 2013, The Future of Syria, Refugee Children in Crisis: The Challenge of Education. In France two young refugee girls told me they would not return to school after peers began calling them gypsies, and in Lebanon there have been reports of children being physically attacked, and of local parents refusing to let their children play with refugees “because they have headlice and scabies.”35)Ibid. Refugee children who are lacking in language skills, with socio-emotional behavioral difficulties and gaps in educational knowledge, are at risk of being perceived as people to be “pitied” or even “despised,” reinforcing the narrative of the “other.”36)Susan T. Fiske, Amy J. C. Cuddy, and Peter Glick, “Universal Dimensions of Social Cognition: Warmth and Competence,” Trends in Cognitive Sciences 11, no. 2 (December 22, 2006), accessed April 1, 2016, doi:10.1016/j.tics.2006.11.005, http://fidelum.com/wp-content/uploads/2013/10/Warmth-Competence-2007.pdf. 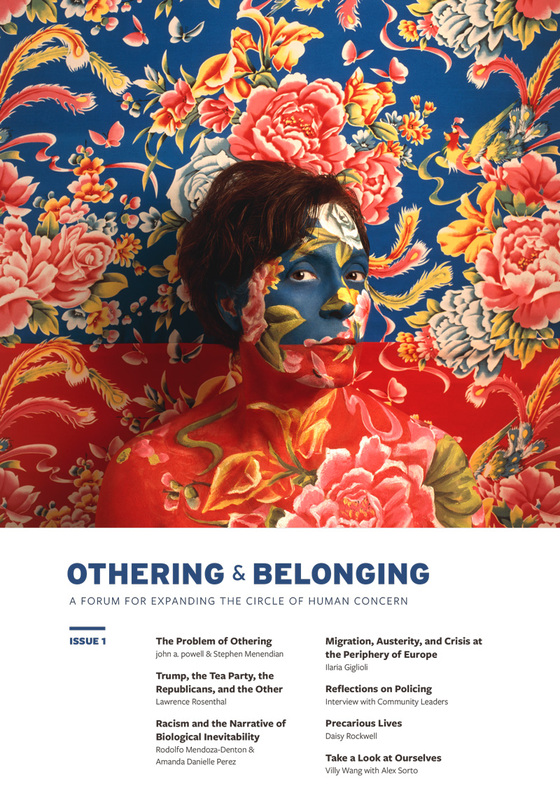 – Cited in john a. powell and Stephen Menendian, “The Problem of Othering: Towards Inclusiveness and Belonging”, Othering and Belonging, Issue 1, (June 29, 2016) http://www.otheringandbelonging.org/the-problem-of-othering/. Results from OECD studies suggest there are wide differences across EU countries in both academic achievement and psychological well-being of immigrant students.37)OECD, 2015, “Helping immigrant students to succeed at school—and beyond” http://www.oecd.org/education/Helping-immigrant-students-to-succeed-at-school-and-beyond.pdf. In the Netherlands, migrant children have a graduated approach to integration where children spend time developing their language and building core skills before joining mainstream classes. More than 80 percent of first generation immigrant students there reported that they felt a sense of belonging at school, compared to less than 50 percent in France.38)Ibid. The size of the differences indicates that there is much that countries can learn from each other. It’s clear that a priority for preventing the narrative of othering becoming manifest between refugee and host communities is to gain a better understanding of the best methods of integrating migrant children into schools and communities. 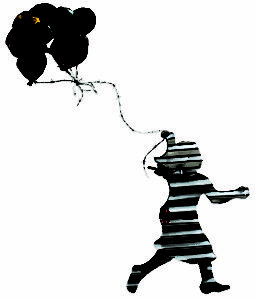 While individual characteristics are important in determining life chances, the school environment, policies, and practices play a key role in how well immigrant children overcome their barriers to belonging and build strong foundations for their new lives.39)OECD, 2015, “Helping immigrant students to succeed at school—and beyond”. Play-based interventions that focus on supporting social cohesion, language acquisition, and building positive social-emotional skills can help remove barriers to learning and integration and build bridges between individuals and communities. Play is the universal language of all children. Through play, children can build positive relationships from an equal starting point, where their social standing and capability are not judged on academic ability, language competency, or background—play transcends borders, nationality, and language. 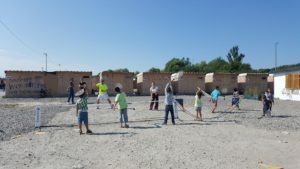 Community groups, sports clubs, youth centers, and other play-based interventions are powerful tools for educating communities and creating pathways for social change. Building more opportunities for free and structured play into integration and education programs, both within schools and the wider community, will enable children to create a strong new shared identity. The migrant children in the OECD study reported the strongest sense of belonging in schools that offered a higher number of extra-curricular activities.40)Ibid. Play has the power to counter the narrative of othering and cultivate belonging on two levels. Firstly, in its capacity to support development, play helps children grow into happy, healthy adults. Secondly, by bringing people together, play builds bridges between individuals and within communities. When people ask me about my experience volunteering in refugee camps, I’ve learned to respond by trotting out the same old phrase, “Yes, it was quite different to my last job! Oh yes, but very rewarding.” Otherwise where do I even begin? With the beautiful four-year-old boy with Down Syndrome, threatened with death by ISIS, who blossomed in our care, or five-year-old Sia, once a beaming ray of joy who now spent hours sobbing, inconsolable, in my arms? The gorgeously cheeky six-year-old Mohammad who’d lost his smile after being shut in a police cell and separated from his parents for 24 hours? Or the charismatic Roman who refused to leave the center at the end of the day because she knew once she’d left, the bubble would burst and it would be back to the reality of life in the camp? Eighteen-month-old Aya who went to bed each night and woke each morning saying, “Children’s center, children’s center!”, or seven-year-old Kasim who was so very angry at the world? There are many strong, intelligent, and resilient children who will move on with their lives beyond war, beyond the refugee camps, beyond the suffering, who will grow strong and achieve wonderful things, but there are some who will not. There are some for whom the scars will be too deep, and these are the children who keep me awake at night. Nothing I’d read or heard about refugee camps prepared me for being there. Feeling something is a thousand times more powerful than reading something, for there are no words to describe bearing witness to the suffering of a child, day in day out, nor seeing their parents’ anguish and despair at being helpless to prevent it. Although it’s the conflict in Syria that has been dominating the headlines in Europe over the past seven years, the numbers or refugees and displaced peoples are growing worldwide. According to a recent report from the World Bank, tens of millions more people will be forced to flee their homes over the next decade. The effects of climate change alone may result in 140 million people becoming internally displaced in just three regions of the developing world by 2050.41)Rigaud, Kanta Kumari; de Sherbinin, Alex; Jones, Bryan; Bergmann, Jonas; Clement, Viviane; Ober, Kayly; Schewe, Jacob; Adamo, Susana; McCusker, Brent; Heuser, Silke; Midgley, Amelia. 2018. Groundswell : Preparing for Internal Climate Migration. World Bank, Washington, DC. © World Bank. https://openknowledge.worldbank.org/handle/10986/29461 License: CC BY 3.0 IGO. This massive movement of people, both internally and across borders, will put enormous pressure on infrastructure, resources, services, and jobs, causing huge issues for local and national governments, and increased risk of conflict, threat to governance and economic, social, and political stability.42)Ibid. Sir David King, former chief scientific adviser to the UK government, warned that we are facing a crisis that “requires a human response on a scale that has never been achieved before.”43)Matthew Taylor, “Climate change ‘will create world’s biggest refugee crisis’”, The Guardian, (November 2 2017) Retrieved at https://www.theguardian.com/environment/2017/nov/02/climate-change-will-create-worlds-biggest-refugee-crisis. If part of belonging means becoming a full, active participant in society, then by allowing children to spend months or even years of their childhood living in refugee settlements without access to high quality early childhood care and education, proactive psychosocial support, and targeted language and mental health intervention, we are robbing them of their chance to reach their full potential, and potentially their ability to ever feel a true sense of belonging, before they even step into a classroom. Improving capacity for supporting the healthy development of children in refugee settlements and gaining a better understanding of how to support refugee and migrant children with integration in host communities post conflict is an urgent priority for world leaders, not only to meet the needs and protect the rights of the millions of individuals affected, but also to ensure a safe and secure future for the world. While we cannot erase the grief, loss, or trauma caused by conflicts or disasters, we have a moral obligation to ensure that every child has their universal rights upheld and that they have equal opportunity to become citizens of the world. Providing holistic children’s services that support development and well-being through play-based intervention can improve the life chances of refugee children and should be seen as of equal importance to education and other needs if they are to be given the best chance at becoming full and active participants in society. What does belonging mean to a child? First and foremost children identify as children. Wherever they are born, wherever they live, they all have the same hopes and fears, wishes, and dreams, and they all have the same innate desire to play. Childhood is precious­—children only get one shot at living it and adults only have one shot at getting it right for children. The children of today are the custodians of the future: their future rests in our hands but we mustn’t forget, ultimately the future of the world rests in their hands. With thanks to Jon-Jo McClelland for his contributions to the section on toxic stress. 1. ↑ UNHCR, 2016, Global Trends Retrieved from https://www.unhcr.or.th/en/news/general/50633 (accessed 14.04.2018) www.unhcr.org/globaltrends2016/, (accessed 10.03.18). 2. ↑ C. Louis. Medicins Sans Frontieres and the refugee crisis in Greece: an interview with Dr Apostolos Veizis. Pathog Global Health. 2016 Sep; 110(6): 219-222. Doi: 10.1080/20477724.2016. 1197441 Retrieved from www.ncbi.nlm.nih.gov/pmc/articles/PMC5070638/. 3. ↑ Ali Baba is a character from the folk tale, Ali Baba and the Forty Thieves, featured in the “Ariabian Nights”tales, One Thousand and One Nights. In the story, Ali Baba discovers a cave full of stolen treasure. The children in the camp used the term ‘Ali Baba’ to describe someone who had stolen something. 4. ↑ Center on the Developing Child (2007). The Science of Early Childhood Development (InBrief). Retrieved from www.developingchild.harvard.edu, (10.03.18). 5. ↑ National Scientific Council on the Developing Child (2005/2014). Excessive Stress Disrupts the Architecture of the Developing Brain: Working Paper No. 3. Updated Edition. Retrieved from www.developingchild.harvard.edu. (10.03.18). 6, 20, 27, 29, 35, 38, 40, 42. ↑ Ibid. 7. ↑ Excessive Stress Disrupts the Architecture of the Developing Brain. 8. ↑ Center on the Developing Child (2007). The Impact of Early Adversity on Child Development (InBrief). Retrieved from www.developingchild.harvard.edu, (10.03.18). 9. ↑ Petchel P and Pizzagalli DA (2011). Effects of early life stress on cognitive and affective function: an integrated review of human literature. Psychopharmacology 214:55-70. 10. ↑ National Scientific Council on the Developing Child (2010). Persistent Fear and Anxiety Can Affect Young Children’s Learning and Development: Working Paper No. 9. Retrieved from www.developingchild.harvard.edu. 11. ↑ Centers for Disease Control and Prevention, Violence Prevention, Adverse Childhood Experiences Journal Articles. Retrieved from https://www.cdc.gov/violenceprevention/acestudy/journal.html (10.03.18). 12. ↑ Bellis MA, Hughes K, Jones A et al. 2013. Childhood happiness and violence: a retrospective study of their impacts on adult well-being. BMJ Open 3(9):e003427. 13. ↑ Centers for Disease Control and Prevention, Violence Prevention, Adverse Childhood Experiences Journal Articles. 14. ↑ Delan Devakumar, Marion Birch, David Osrin, Egbert Sondorp and Jonathan CK Wells (2014). The intergenerational effects of war on the health of children, BMC Medicine, 12:57. 15. ↑ Rachel Yehuda, Nikolaos P. Daskalakis, Linda M. Bierer, Heather N. Bader, Torsten Klengel, Florian Holsboer, Elisabeth B. Binder, Holocaust Exposure Induced Intergenerational Effects on FKBP5 Methylation, Biological Psychiatry, September 1, 2016 Volume 80, Issue 5, Pages 372–380. 16. ↑ Rodriguez, Tori (March 1, 2015). “Descendants of Holocaust Survivors Have Altered Stress Hormones”. Scientific American. Retrieved January 30, 2018. 17. ↑ Roth, T. L. (2013). Epigenetic mechanisms in the development of behavior: advances, challenges, and future promises of a new field. Development and Psychopathology, 25(4 0 2), 1279–1291. http://doi.org/10.1017/S0954579413000618. 18. ↑ Center on the Developing Child at Harvard University (2017). Three Principles to Improve Outcomes for Children and Families. http://www.developingchild.harvard.edu. 19. ↑ Unicef, 17.05.2107, A Child is a Child www.unicef.org.uk/press-releases/five-fold-increase-number-refugee-migrant-children-traveling-alone-since-2010-unicef/ (accessed 14.04.2018). 22. ↑ Save the children, 2015, THE COST OF war Calculating the impact of the collapse of Syria’s education system on the country’s future http://static.guim.co.uk/ni/1427711553264/Save-the-Children-Cost-of-W.pdf. 23. ↑ UNHCR, 2016, Missing Out: Refugee Education in Crisis. http:/www.unhcr.org/57d9d01d0 (accessed 14.04.2018). 24. ↑ National Scientific Council on the Developing Child (2010). Persistent Fear and Anxiety Can Affect Young Children’s Learning and Development: Working Paper No. 9. 25. ↑ Center on the Developing Child, 2012, Executive Function (InBrief). Retrieved from http:/www.developingchild.harvard.edu. 26. 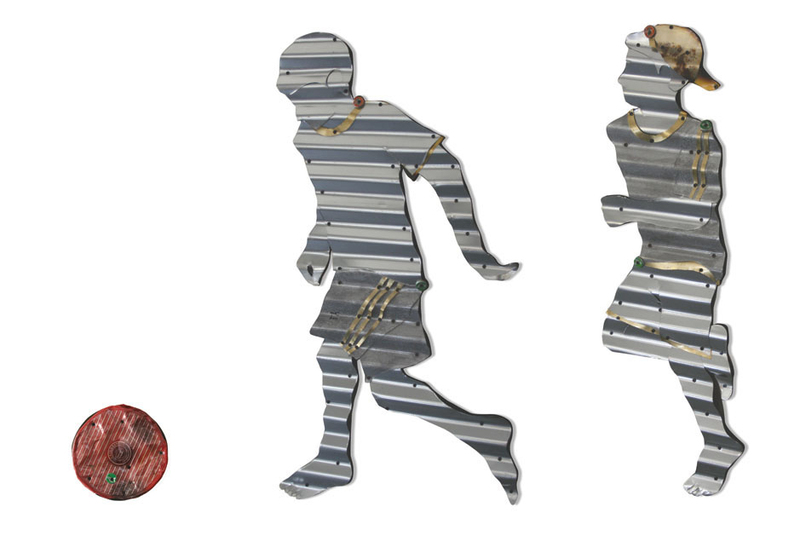 ↑ Center on the Developing Child, Key Concepts: Executive Functioning, https://developingchild.harvard.edu/science/key-concepts/executive-function/. 28. ↑ Center on the Developing Child, Key Concepts: Executive Functioning. 30. ↑ Theirworld, 2018, Donor Scorecard – Just Beginning: Addressing inequality in donor funding for Early Childhood Development https://reliefweb.int/sites/reliefweb.int/files/resources/Donor%20Scorecard.pdf. 31. ↑ UN Convention on the Rights of the Child, Article 31 https://www.unicef.org/crc/files/Rights_overview.pdfhttps://www.unicef.org/crc/files/Rights_overview.pdf. 32. ↑ UNHCR, 2013, The Future of Syria, Refugee Children in Crisis: The Challenge of Education http://unhcr.org/FutureOfSyria/the-challenge-of-education.html (accessed 14.04.2018). 33. ↑ Human Rights Watch, 2016, “We’re Afraid for Their Future” Barriers to Education for Syrian Refugee Children in Jordan https://www.hrw.org/report/2016/08/16/were-afraid-their-future/barriers-education-syrian-refugee-children-jordan (accessed 14/.04.2018). 34. ↑ UNHCR, 2013, The Future of Syria, Refugee Children in Crisis: The Challenge of Education. 36. ↑ Susan T. Fiske, Amy J. C. Cuddy, and Peter Glick, “Universal Dimensions of Social Cognition: Warmth and Competence,” Trends in Cognitive Sciences 11, no. 2 (December 22, 2006), accessed April 1, 2016, doi:10.1016/j.tics.2006.11.005, http://fidelum.com/wp-content/uploads/2013/10/Warmth-Competence-2007.pdf. – Cited in john a. powell and Stephen Menendian, “The Problem of Othering: Towards Inclusiveness and Belonging”, Othering and Belonging, Issue 1, (June 29, 2016) http://www.otheringandbelonging.org/the-problem-of-othering/. 37. ↑ OECD, 2015, “Helping immigrant students to succeed at school—and beyond” http://www.oecd.org/education/Helping-immigrant-students-to-succeed-at-school-and-beyond.pdf. 39. ↑ OECD, 2015, “Helping immigrant students to succeed at school—and beyond”. 41. ↑ Rigaud, Kanta Kumari; de Sherbinin, Alex; Jones, Bryan; Bergmann, Jonas; Clement, Viviane; Ober, Kayly; Schewe, Jacob; Adamo, Susana; McCusker, Brent; Heuser, Silke; Midgley, Amelia. 2018. Groundswell : Preparing for Internal Climate Migration. World Bank, Washington, DC. © World Bank. https://openknowledge.worldbank.org/handle/10986/29461 License: CC BY 3.0 IGO. 43. ↑ Matthew Taylor, “Climate change ‘will create world’s biggest refugee crisis’”, The Guardian, (November 2 2017) Retrieved at https://www.theguardian.com/environment/2017/nov/02/climate-change-will-create-worlds-biggest-refugee-crisis. Freya White set up and ran a children’s center in La Liniere refugee camp in France, maintaining a welcoming, safe environment for traumatized children and coordinating a team of volunteers. The experience led to the creation of Refugee Children’s Centres, of which Freya is the founding director. She has a background in education and environmental science. Her main areas of interest are informal education, the impacts of stress and adverse childhood experiences on psychosocial well-being and early childhood development, and the benefits of using play-based intervention to support well-being and development and promote social cohesion. Freya and her team are currently focusing on developing capacity-building partnerships with volunteer-led organizations working with refugee children living in Greece, to strengthen the provision of informal education, early childhood care and development opportunities, and psychosocial support in refugee camps and community centers.